If you’re a shaver, you’ve likely already experienced razor burn. And if you’ve been fortunate enough to avoid the condition so far, you’ll probably be on the receiving end of it eventually. Razor burn manifests as a reddish skin condition that is uncomfortable, itchy, and painful, and it is sometimes accompanied by little pimples or cuts. Specifically, razor burn occurs when your razor blade scrapes against your skin during the shaving process. The problem stems from skin irritation caused when your blade tugs at your hair follicles. What this can do is cause some of your hair strands to grow downward into your skin rather than outward, and this can create small abscesses. While not generally considered a serious health problem, razor burn can range from mild to very painful as far as severity of the condition. As you might expect, the answer to how long razor burn lasts will depend on numerous factors like the the size of the affected area, whether or not the razor burn is complicated by the presence of razor bumps, and the frequency with which you shave. Symptoms can persist for anywhere from a number of hours to a few days. Read on for a look at how gender and body region can play into razor burn–as well has how to prevent it in the first place and how to treat it if you actually get the condition. 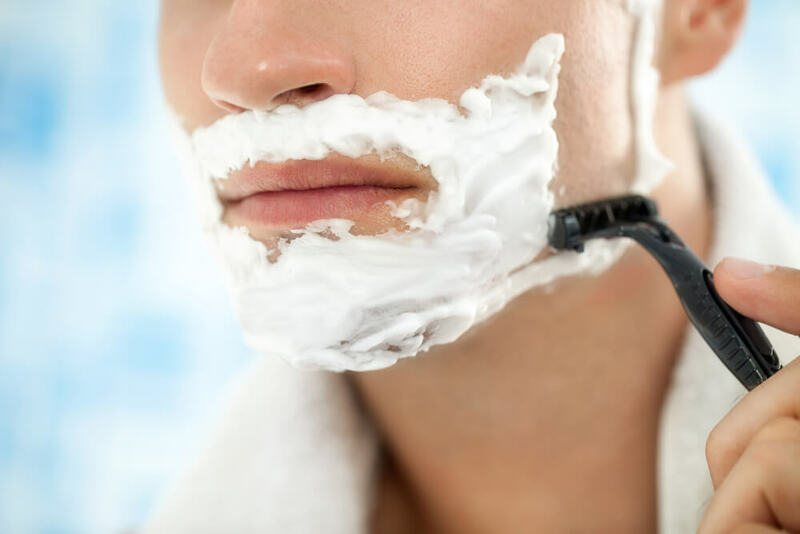 While both men and women who shave can get razor burn, it can be argued that the painful skin condition may be more uncomfortable for women than it is for men. The reason? While men mostly focus on the face and neck regions when they shave, women tend to focus on the legs, armpits, and bikini regions when they shave. So,the severity of razor burn, at least in terms of discomfort, tends to be worse for women than for men simply due to the body areas shaved. Location issues are largely an extension of the gender issue. When men get razor burn, it will typically be on the face or neck, but when women get razor burn, it will likely be on body parts where the skin is more sensitive, such as the bikini area and armpits. Why is this important to emphasize? The severity of razor burn can increase if your clothing makes contact with the affected skin. Frequent brushing of your clothes against your razor burn-affected body region could prolong the symptoms or at least make the condition all the more uncomfortable or downright painful. Clean Razor: Be sure to get rid of any worn, rusty, or unclean razor blades in order to reduce the odds of getting the condition. Always use a clean razor, and replace the blade regularly. Wash Beforehand: It’s best to wash your skin before you shave — otherwise, your skin, due to dirt and oil accumulation, will create an uneven surface that will increase the risks of razor burn. Lubricate: You need shaving cream in order to provide the necessary lubrication between the blade and your skin. Slow and Easy: Shaving too quickly is a leading cause of razor burn, so take it easy with slow, even, and long strokes. Between every stroke of the razor, rinse the blade under hot water. How long razor burn lasts can be as stress-free as a few hours or as annoying as a few days. But you can fast-track the healing process if you use the right remedies or products. Over-the-Counter Skin Care Products: You can find products, such as found on our website, that deal with razor burn as well as products that can reduce the appearance of ingrown hair, razor bumps, and redness from shaving, waxing, electrolysis, or laser hair removal. With our product you can also moisturize the skin after shaving. These products are the best solution to speed up the healing process. Aloe: While Aloe won’t reduce the appearance or necessarily help the razor burn heal faster, Aloe will help to cool the discomfort associated with razor burn, bringing you relief. Shave Less Often: Yes, the tried and true solution to treating razor burn is to shave less. The frequency of your shaving could be contributing to why you are experiencing razor burn. Allow your skin to heal, and you can always fall back on safe skin products if you can’t quit shaving. Whether you have razor burn and want to get rid of it or don’t have razor burn and would like to maintain the status quo, take action in healing your razor burn. 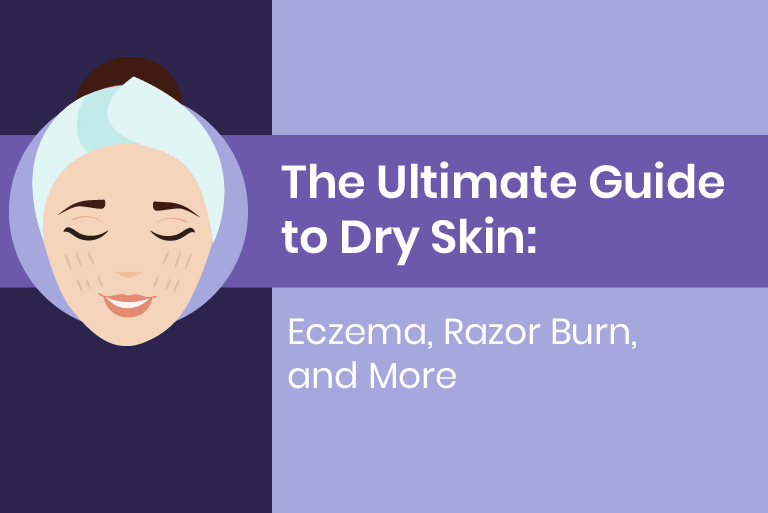 Razor burn is a skin condition that, while not medically serious, nonetheless can be quite painful. So, knowing how to treat it and, even better, how to prevent it will make you an informed shaver.